Male sharp-tailed grouse dancing on a lek shortly after sunrise. Gun Lake WMA, Aitkin County, Minnesota. 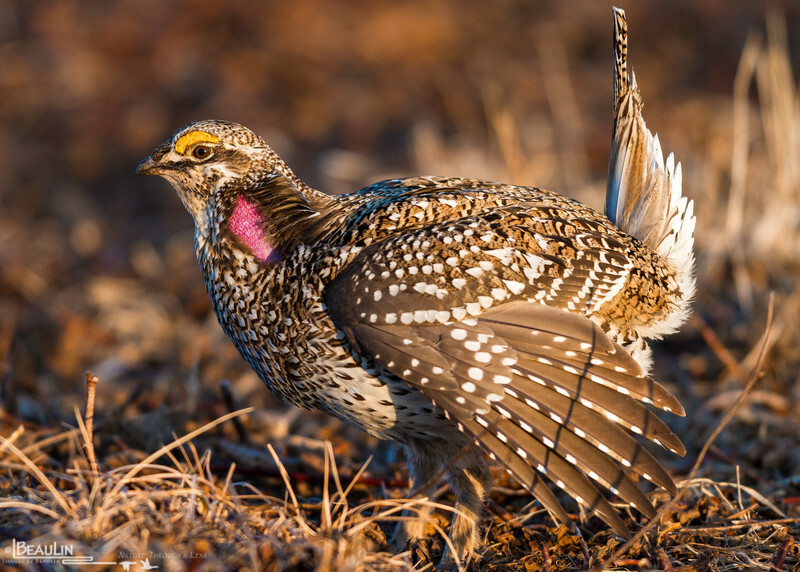 These charasmatic, energizer-bunny like representatives of prairie grouse get so worked up when dancing they need to take frequent breaks to rest. They have a knack of doing it simultaeously with the other males on a lek. Reminds me of Red Light, Green Light when I was a kid.